Removed from my 2003 BMW M5. BMW E46 M3 E39 M5 Oval Rearview Rear View Mirror. Condition is Used. Shipped with Standard Shipping. Trending at $85.45eBay determines this price through a machine learned model of the product's sale prices within the last 90 days. NOTICE: Don't like one of our prices?. We are always willing to negotiate. PART WAS REMOVED FROM A 2009 BMW 535I WITH ONLY 94K MILES. 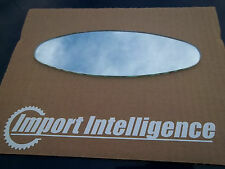 UP FOR SALE IS A OEM ORIGINAL BMW E60 535I MIRROR. BMW Z4 2009 - 2016. BMW 1 Series M 2011. BMW 128i 2011 - 2013. BMW 135i 2011 - 2013. BMW 135is 2013. BMW 328i 2007 - 2012. BMW 328i xDrive 2009 - 2012. BMW 328xi 2007 2008. Item may show signs of wear, light scuffs, scratches or other imperfections as a result of this being a used part. BMW Autodimming Interior Rearview Mirror EC LED E39 E46. BMW 3 Series. BMW 5 Series. Quality New and Used BMW Parts. BMW 7 Series. BMW 8 Series. BMW X Series. BMW Z Series. REMOVED FROM 2008 BMW 550I. TESTED 100% WORKING. 3 Series E36. 5 Series E34. 7 Series E32. This is the basic rearview mirror, with no electronic features such as Alarm LED or Auto-Dimming. This is a used original BMW part. ITEM: rearview mirror. OE PART #: 51161928939. 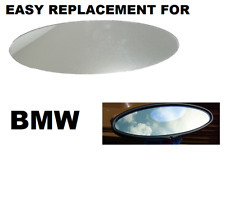 This Rear View Mirror was removed from a 2006 BMW M5 in good working condition. The Part Numbers are 015891 GNTX-480. There is a 6 Month Warranty on this item. BMW Z4 2009 - 2016. 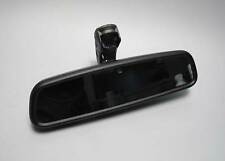 ( Mirror Assembly, Rear-view Mirror With Universal Transceiver, Rear-View Mirror Ec Led G 511633). BMW 1 Series M 2011. BMW 128i 2011 - 2013. BMW 135i 2011 - 2013. BMW 135is 2013. BMW 328i 2007 - 2012. 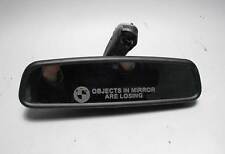 (Rearview mirror EC / LED / GTO / Compass) was found on the following vehicles Part was removed from 2007 - 2011 3 Series model. 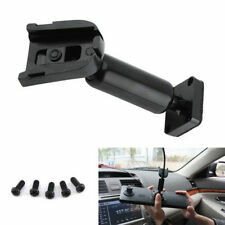 Will fit BMW from 2006 - 2011 3 series Coupe and Sedan model E90, E92 (with Rain Sensors windshield & BMW Car Alarm). Must be in original condition, or it does not qualify. All parts are tested before removal from the vehicle! BMW Interior Rearview Mirror Manual Dim E34 E36 E32 E46 E39. Quality New and Used BMW Parts. BMW 3 Series. BMW 5 Series. BMW 7 Series. BMW 8 Series. BMW X Series. BMW Z Series. 6' F06 Gran Coupé (05/2011 — 02/2015). 6' F06 Gran Coupé LCI (06/2014 — 09/2018). 6' F13 (12/2010 — 02/2015). 6' F13 LCI (05/2014 — 08/2017). 6' F12 (07/2010 — 02/2015). 6' F12 LCI (05/2014 — 05/2018).